As you can see from the above pages, The MINIMALIST is a little different, but in a good way. The single peice hull is easy to handle, and weighs only 30 pounds. The 2 important features of the design are it's quick build time, and low cost. The fact that it can support an adult and child for a leisurly outing on a small lake or pond is a huge benefit, and it can be paddled, rowed or trolling motor powered. The options shown are shared with my other wedge designs, if the builder is so inclined. 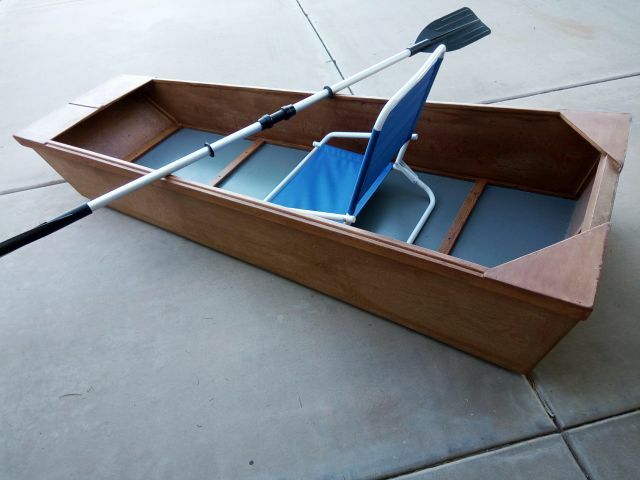 The intent, however, is to provide a design that will introduce children and teens to the fine art of boat building, in a low cost, easy to construct package, that is safe and easy to handle. Hit your browser back arrow, or the Home tab on the top menu bar, to return to the main page.